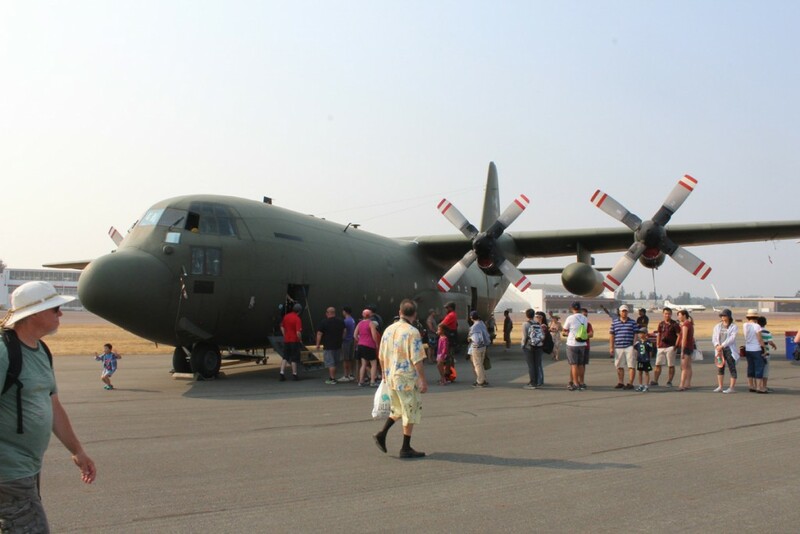 Here are some additional photos from the static displays ate the Abbotsford International Airshow. 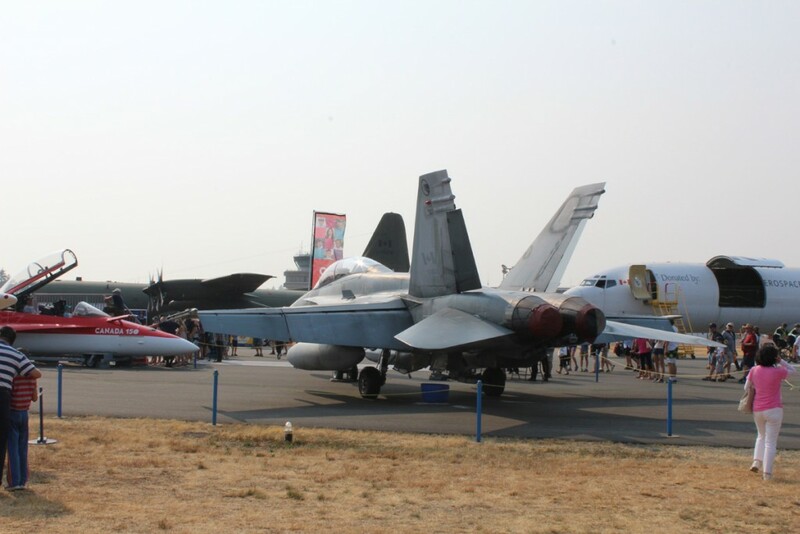 CF-18 Hornet. 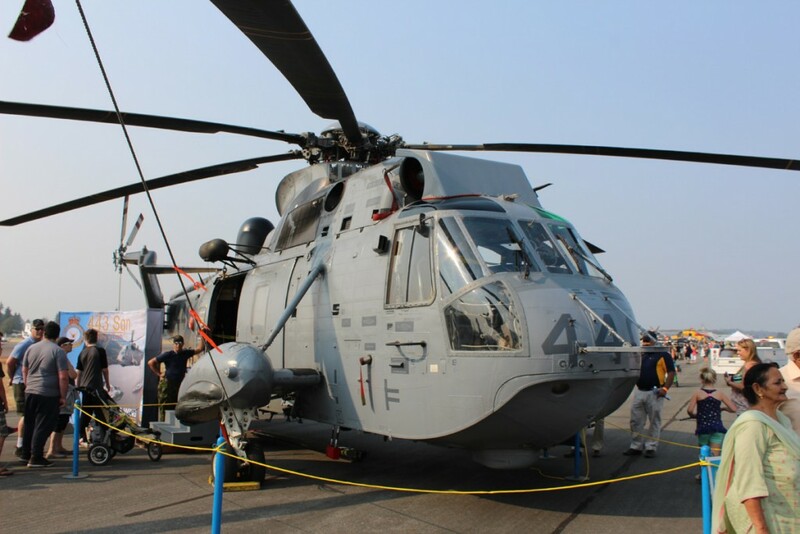 To the left of it is a mock-up cockpit you could try out. 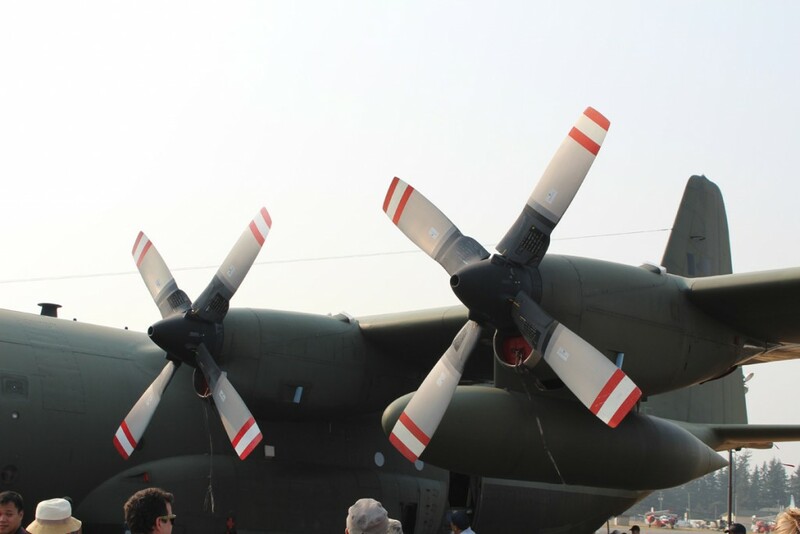 Those are very large propellers! 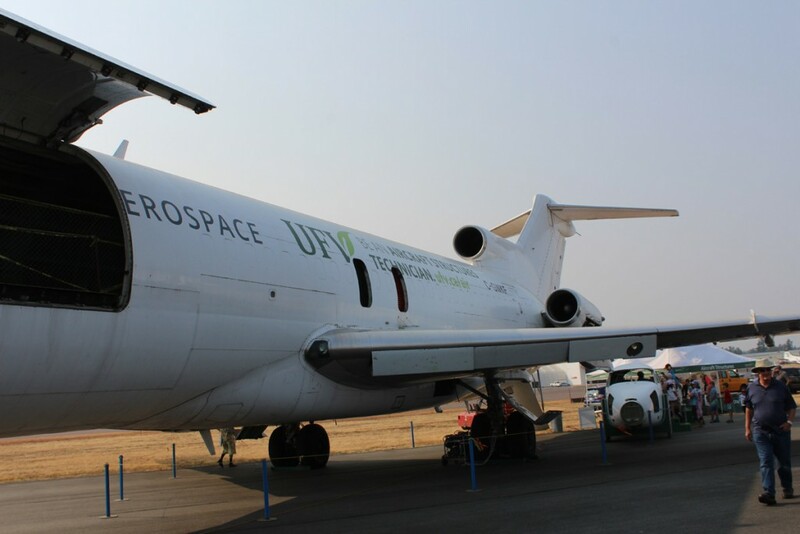 We were surprised to learn that Abbotsford’s University of the Fraser valley has an Aircraft Structures Technician program. 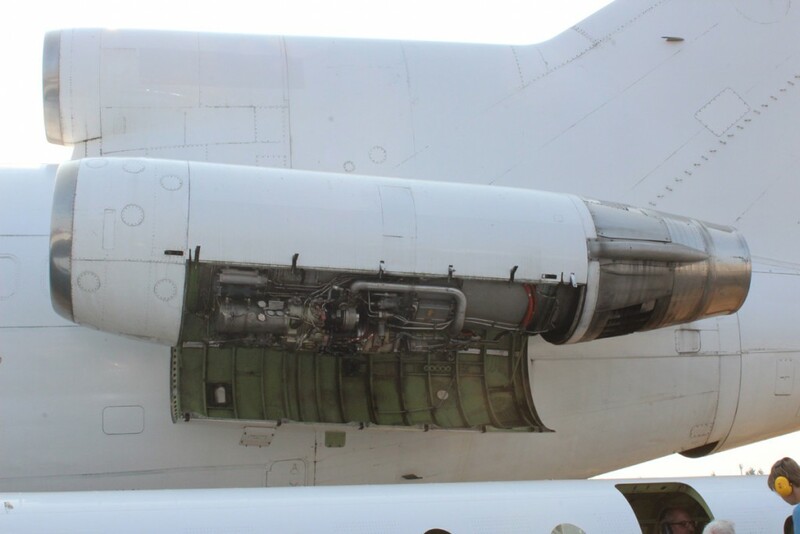 This is their training plane. 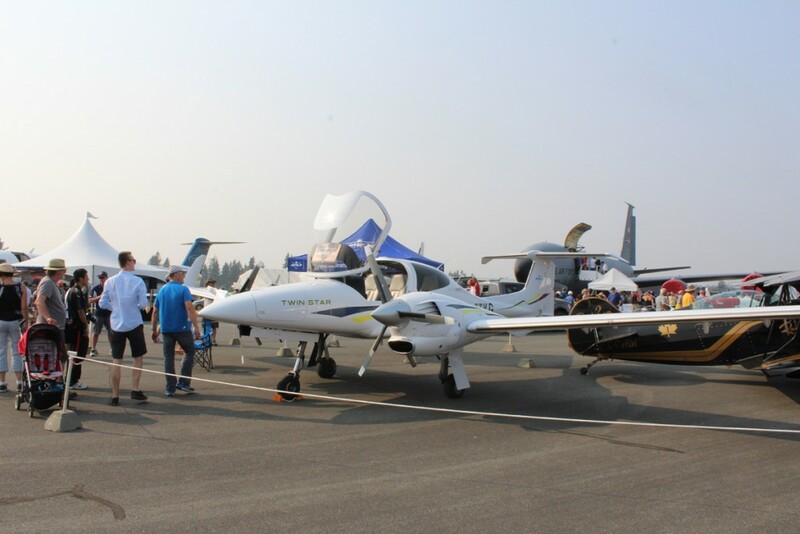 A rather nifty looking pilot training plane – the Diamond DA42 Twin Star. 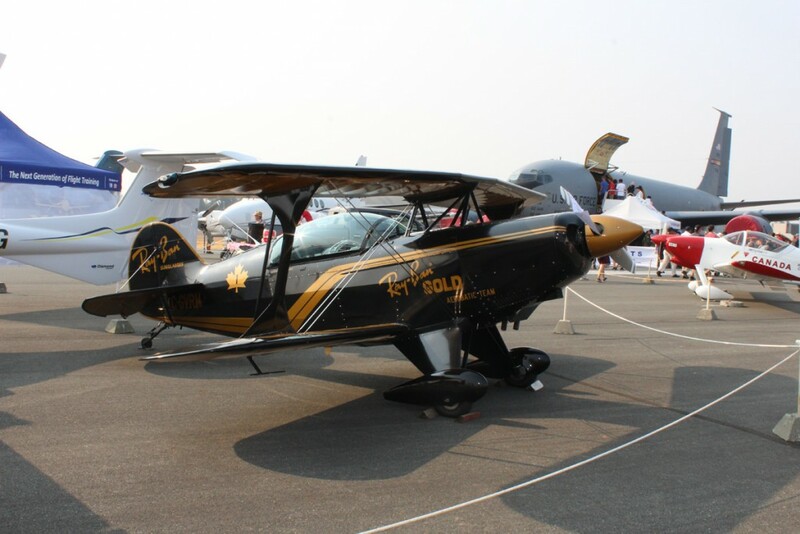 A Pitt Special stunt plane used by the Ray-Ban Gold Aerobatic Team. 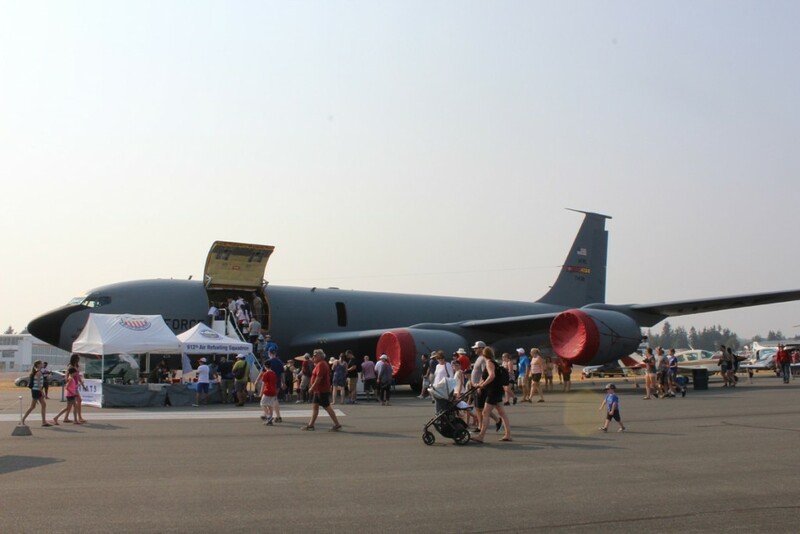 They were an airshow staple from 1973 to 1990. This is the team’s last remaining airworthy Pitts Special S-2B. You got to love their slogan! 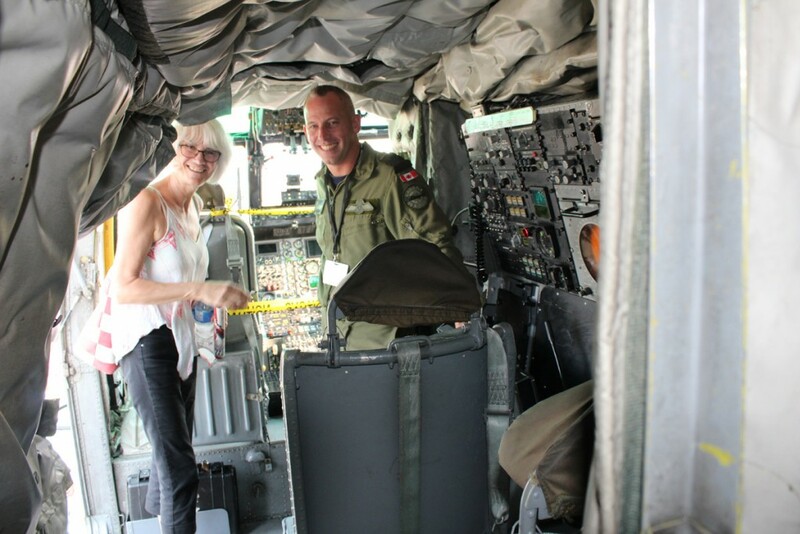 Janis and one of the crew of the Sea King. 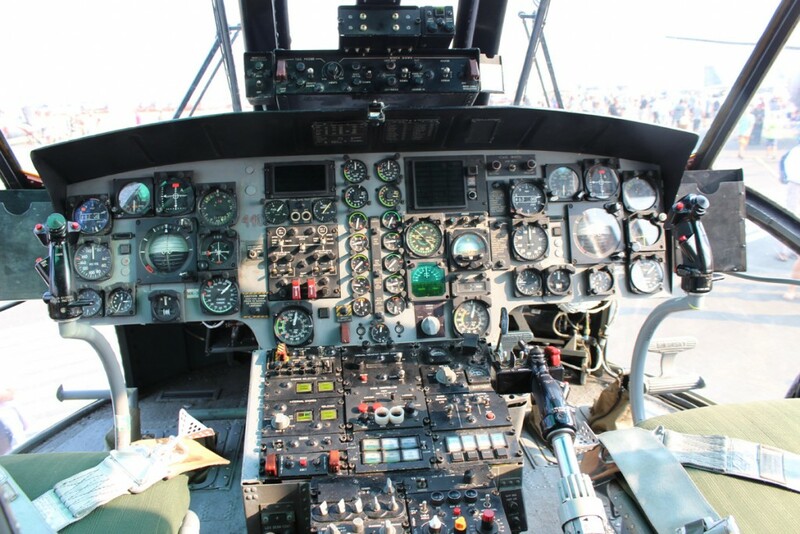 That’s a lot of knobs and gauges!